News Comes To Us Via Jim Operator Of GSV. That Both GSV And WMR Will Be Cutting Back On There Time On Air To Once Or Twice A Month. It Could Happen That They May Stop All Together. See Comments Left On This Blog Thursday 30/10/14. Both Stations Will Be Badly Missed. Radio Grote Versieder Was Raided Live On Air This Afternoon. 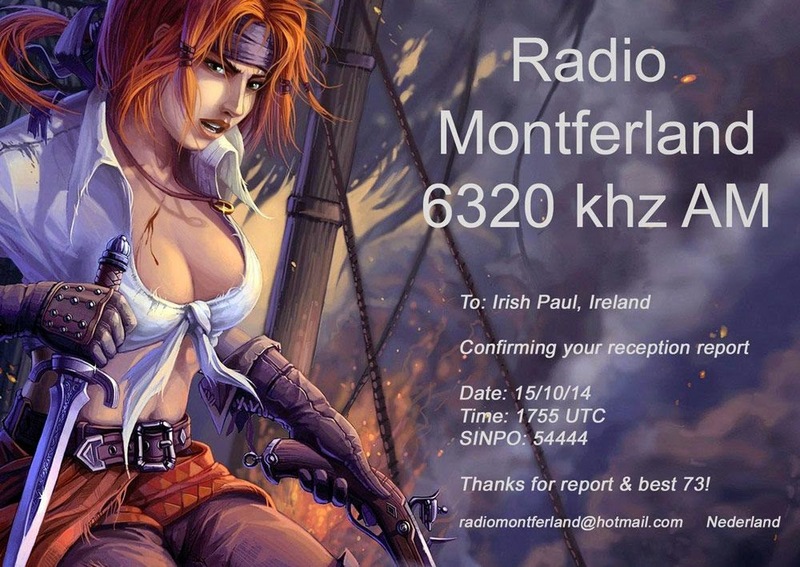 6300-19.32 Radio Montferland Playing Italian Music Including Pupo. Strong Signal, Occasional Fading Sinpo 54443. Thanks For The Greetings. 6260-8.40 Radio Northpole Moved Here From 6255. 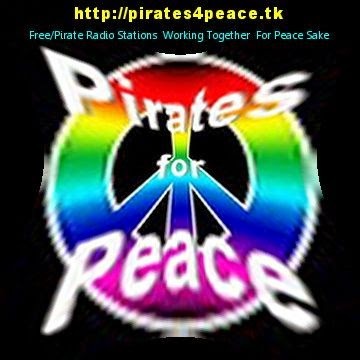 Dance Music Including" can you feel it"
6396-17.45 Radio GSV Playing Rock Music. Good Signal Sinpo 43444. Faded Out At 17.52. 3910-17.20 Radio Technical Man Playing Dutch Music And Elkie Brooks" pearl a singer". Strong Signal Small Bit Of Noise. Sinpo 54444. 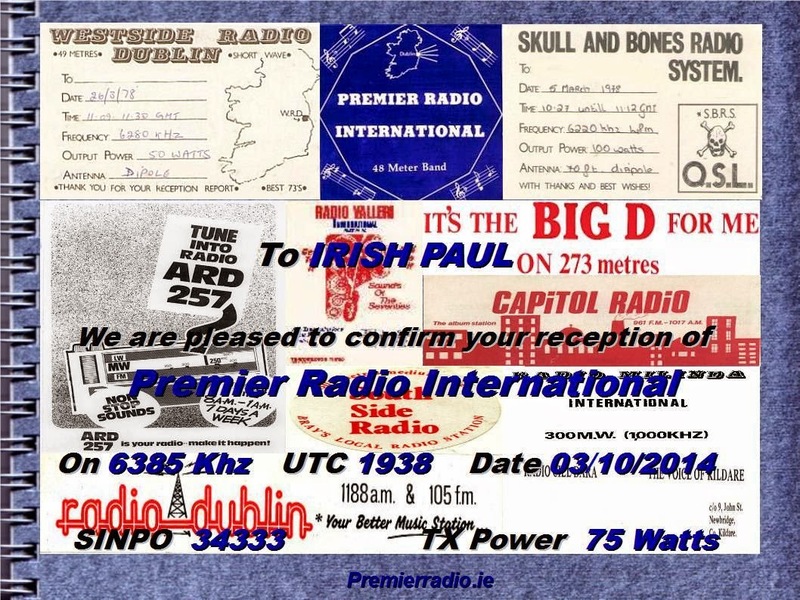 Atlantic 2000 will be on the air this Sunday 12th of October from 08:00 to 09:00 UTC (10:00 to 11:00 CEST) on 6005 and 9485 kHz. 6295-18.40 Radio Rode Adelaar With Music From Peter Kent" real good feeling". Closed Down 5 Minutes Later. Strong Signal Sinpo 54444. Back On Later. 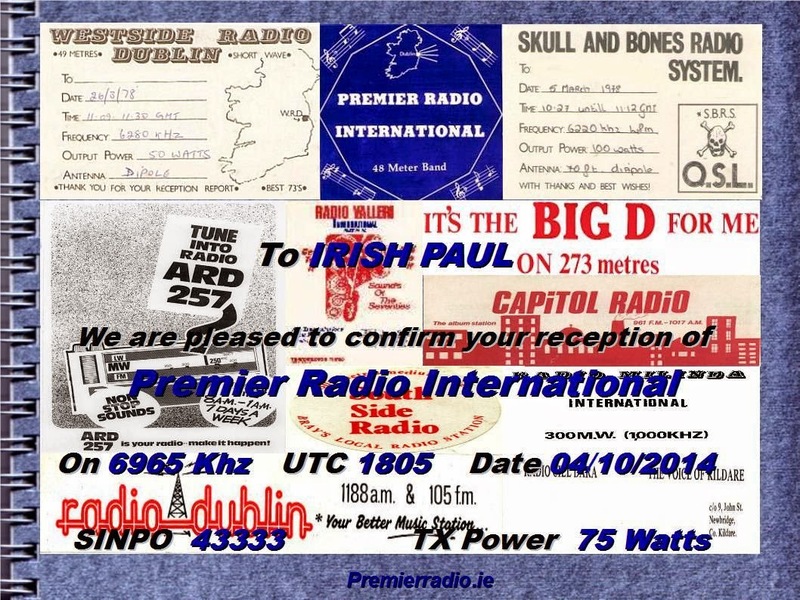 Two Nice E-Qsls From Premier Radio Received At The Weekend.